Once one of the busiest river ports in Europe, Bridgnorth occupies one of the most spectacular inland town settings in England with magnificent views across the River Severn, so good that in 1642 King Charles I described the view from Castle Walk as “the finest in my domain”. 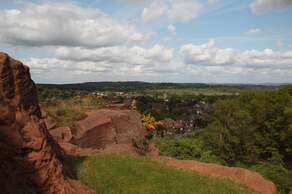 The town has two main areas:‘High Town’includes the main shopping street and is perched dramatically on top of one hundred foot sandstone cliffs. There is a market every Saturday in the high street and many events in the town throughout the year. 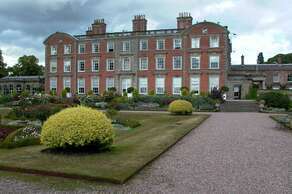 The lower part is known as “Low Town”and straddles the River Severn. 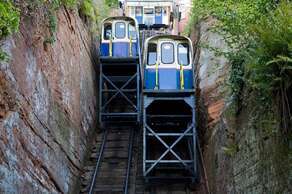 The two are linked by a series of historic winding steps and a unique Victorian Cliff railway, the steepest inland funicular railway in Britain. 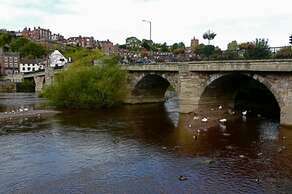 Bridgnorth has an enviable selection of restaurants, all within a short walk from The Croft. Whether you fancy Indian, Chinese, Thai, English, Spanish, Italian or just good old fashioned fish and chips, there really is something for everyone. You will also find some great traditional English pubs in the area, many of which feature in CAMRA’s Good Beer Guide. 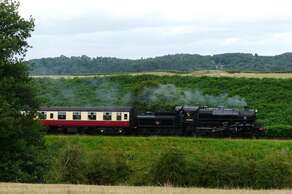 The railway is one of the longest standard gauge heritage lines in the UK and it hosts numerous special events throughout the year, including both steam and diesel galas. Trains operate most weekends and daily from May to September. The Railway also operates during all local school holidays throughout the year. The SVR website gives details of operating dates and the timetable in operation. England’s oldest and steepest inland electric funicular railway, Bridgnorth Cliff Railway has been transporting the people of Bridgnorth up and down the 111 ft sandstone cliffs that separate High Town from Low Town, and the River Severn for over a century. 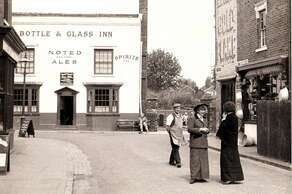 It is first and foremost a working railway;its importance to both the townspeople of Bridgnorth and to visitors to the town is undiminished by age. The finest of medieval ruined castles set in glorious Shropshire countryside, at the heart of this superb, bustling black &white market town. Walk through the Castle grounds and see the ancient houses of kings, queens, princes, judges and the nobility - a glimpse into the lifestyle of medieval society. 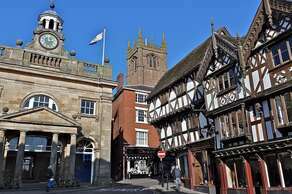 Ludlow is a thriving medieval market town and an architectural gem with a lively community feel, busy with events and festivals throughout the year. The historic town centre is situated on a cliff above the River Teme and is surrounded by the beautiful countryside of south Shropshire and the Welsh Marches. 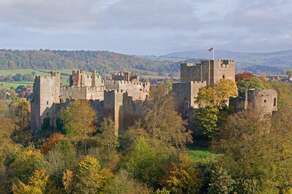 Ludlow is an excellent base for walking and cycling;as well as exploring the rest of Shropshire and the Welsh Marches. Ludlow has a reputation for the quality of its food and drink with many excellent restaurants and cafes encouraged by the areas abundance of quality producers. Set amidst glorious countryside near to the Welsh Borders, it is one of England's finest medieval market towns. The town centre is packed with timber-framed black &white buildings, steep narrow streets and alleyways. The River Severn forms a loop around the town centre offering gentle riverside walks or you can enjoy a trip on the new pleasure boat Sabrina. 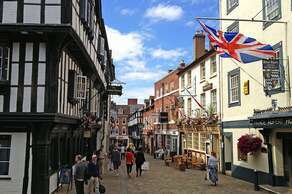 Here is your opportunity to experience an eventful piece of history, enjoy good food, entertainment and some exciting retail therapy with shopping in Shrewsbury. A World Heritage Site and the beating heart of the Industrial Revolution, Ironbridge is home to 10 amazing museums that make an unforgettable experience. From rocketing yourself back to the age of steam and experiencing the sights, sounds and smells of the Victorian age at Blists Hill Museum to discovering the skills, artistry and craft behind the tiles that helped to decorate Victorian Britain at Jackfield Tile Museum, there is plenty to do for all of the family. 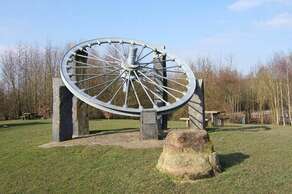 The Green Flag award winning Severn Valley Country Park is the perfect day out for all the family. Set in the peaceful, scenic valley of the River Severn, the park provides 126 acres of beautiful countryside and wonderful views which spans both sides of the longest river in the country. The woodlands, ponds and meadows of the park around found in 2 separate sites located at Alveley and Highley. Visitors can explore way-marked walking routes and see rare wildlife that has been lost from the wider countryside. An action-packed events programme including guided walks, activities for kids, outdoor theatre and seasonal self-guided trails ensures there is always something exciting happening. The Royal Air Force Museum Cosford is locatedin Shropshire and offers a fun, entertaining day out for all the entire family. Situated next to an active airfield, this is the only place in the Midlands where you can get close to so many breathtaking aircraft for free. 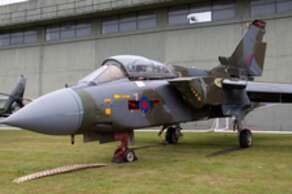 Over 70 aircraft of international importance are housed in three Wartime Hangars and within the National Cold War Exhibition. See the world’s oldest Spitfire and a Lincoln Bomber, just two of the highlights in the War in the Air Collection. West Midland Safari Park is home to some of the world's most beautiful and endangered exotic animal species. The park holds over 165 species of exotic animals, among other attractions such as a small theme park. The park contains the largest groups of white lions, cheetahs, hippopotami, and meerkats in the UK, as well as the largest lemur walk-through exhibit. 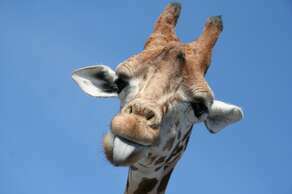 It was also the first park in the UK to have the African big five game animals. 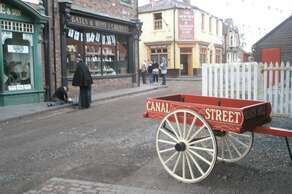 Black Country Living Museum is an award winning open air living museum that tells the story of the world's first industrial landscape with buildings, vehicles, objects and costumed characters for you to interact with and explore. With a village and charismatic residents to chat with, trams to ride, games to play, things being made, stories to hear, people - their triumphs to admire and troubles to be thankful that are not ours, a visit is time well spent. Now most commonly known for hosting the annual V Music Festival, there are plenty of other sights to see and things to do at Weston Park. Between June and the beginning of September the entire estate is open for visitors to enjoy from the House and its collections to the Woodland Adventure Playground. Throughout September and weekends in October visitors can explore the beauty of Capability Brown’s Temple Wood from the stunning and scented rhododendrons in the spring to crunching through the leaves and taking in the fiery colours of autumn. There are countless National Trust properties within driving distance of Bridgnorth including Morville House;a stone-built house of Elizabethan origin, Benthall Hall;a family estate with an intimate tea room and Kinver Edge;a high sandstone ridge and hill fort overlooking dramatic red sandstone rock houses.